Fort Collins is a funky college town and a truly a unique city, and I hope to go there next summer for an up close and persona tour of Fort Collins Breweries. Fort Collins is both bicycle-friendly and eco-friendly. 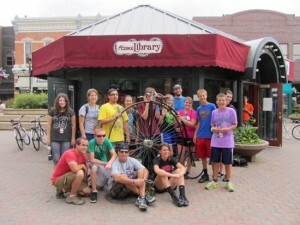 Fort Collins, with a population of almost 150,000, also has a bicycle library. You can check out a bike for up to 7 days for free! Just give a $10 donation, and awaaaay you go. A great deal! Now, either saddle up your bike, put on your walking shoes, or hop on the shuttle… we’re off on our brew tour! Coopersmith’s Pub and Brewing is one of Fort Collins’ oldest brewpubs. It marks its beginning in 1989. That may not seem like ages ago, but in micro-beer-ese – it is. 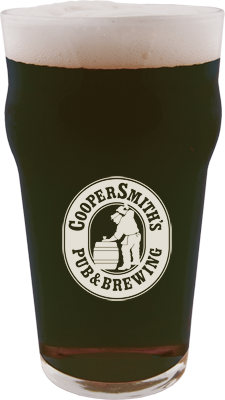 Coopersmith’s has just what you need to get your feet moving on our walking tour. Featuring 2 locations plus a brewery – their Poolside location would be my first stop, as it has a Pool. Well, it actually has 12 of them – all regulation sized. Not Olympic sized – sorry. 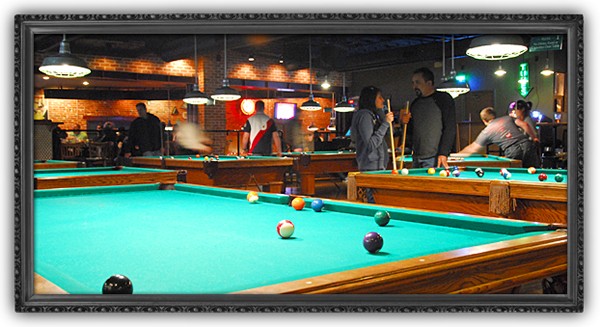 These are tournament class pool tables. OK with you? What if I don’t care for that kind of pool? No problem. The still have great beer, food, plus Olympic Games as well! Odell Brewing Company tied with Coopersmith’s for one of the oldest of Fort Collins’ Breweries. Founded in 1989, Odell’s is considered Northern Colorado’s oldest brewery. I guess they must have beaten Coopersmith’s by a couple of months or so. Look at what our walking gets us: Mad Scientists – aka “Brewmasters”. Their Dr. Frankenbrewer’s creations are unleashed in their taproom for visitors to enjoy. It’s the best place to try something new and unique straight from their bubbly playground. Come see what’s currently on tap. Light and refreshing, EASY STREET WHEAT is an unfiltered American-style wheat beer. Leaving in the yeast gives the beer a nice, smooth finish and a slightly citrusy flavor. 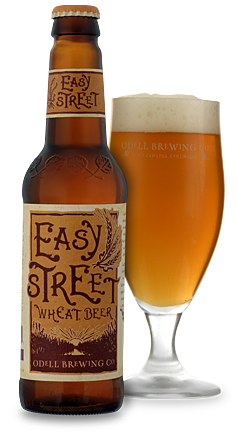 Easy Street Wheat gets its name by brewers “taking it easy” and not filtering the beer. However, for ultimate enjoyment, they encourage you to work just a little harder in pouring it: Pour 2/3 of the beer into a glass, swirl what’s left to stir up the yeast, then pour the rest and enjoy. FRIEK by Odell is an evolution, an imaginative amalgamation invented by Odell’s brewers. Multiple KRIEK Lambic style ales are fermented with WILD yeast and TART cherries and then moved into OAK BARRELS to age and sour taking on the CHERRY flavors. As the beer matures, FRAMBOISES (raspberries) from Schroyer Family Farms in Fort Collins are handpicked and readied for the beer. The fresh RASPBERRIES are added immediately prior to the final blending. The sweet and tart flavors MINGLE on the tongue with a sparkling dry finish. Psst. Tell your “puppies” to hush, we’ll sit down soon. Yes – sit on a surprising spiral after our tour of New Belgium, one of the most unique tours in the brew world. 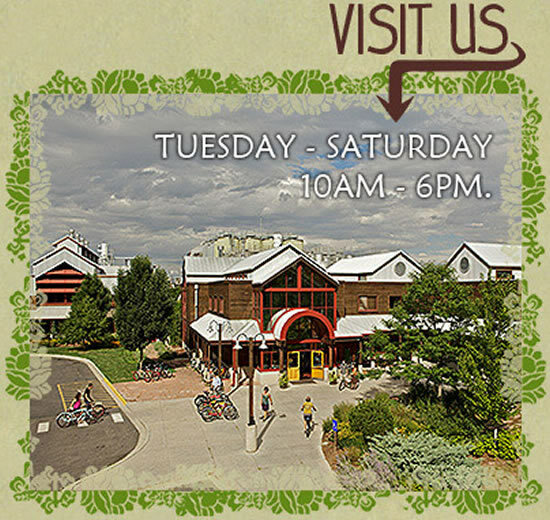 New Belgium Brewing has one of the most popular brewery tours in the US. Many thousands per year take the tour that can last 90 minutes. It is, I’m told – an experience. New Belgium Brewing is NOT the last brewery stop in Fort Collins! We just need to save some of the other great places for another visit. There wasn’t a designated driver for this one. …let’s ease out of New Belgium Brewing’s tour. 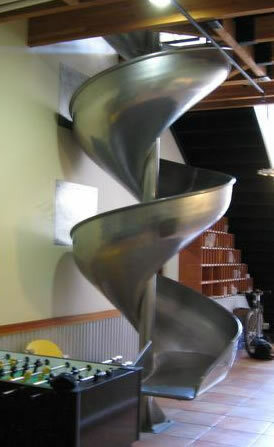 You probably already knew that New Belgium Brewing is a fun brewery, so what more could I say? Hot, 100-degree summer day in Austin, Texas. Drinking on the patio at Barton Springs Saloon on a blind date. Two giant swallowtail butterflies landed on my ice-cold Fat Tire bottle with condensation dripping from it. The swallowtails decided to drink the drops and proceeded to mate. I just smiled at my date. What can I say; College towns remind me of my co-education days! And of course – the co-eds. 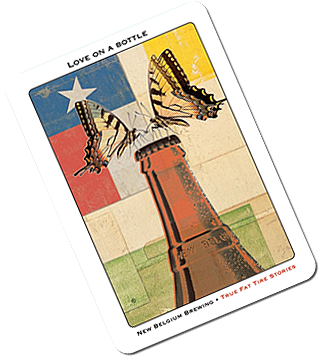 Love On a Bottle – Ah! Take a tour of Fort Collins Breweries plus. receive many entertaining and informative articles free with your subscription of Black Bucket Brew e-Zine. Subscribe Now for your free emailed copy! Can you tell me which breweries and brewpubs in Fort Collins are pet friendly? My wife and I are traveling to Fort Collins in a couple of week and will be accompanied by our two small dogs. We were hoping to experience the great Fort Collins “brew scene” with out pets. Not sure which ones are pet friendly. Probably by sending them all a quick email you can find out.